Nice to have when unrolling & using barbed wire for earthbag construction. 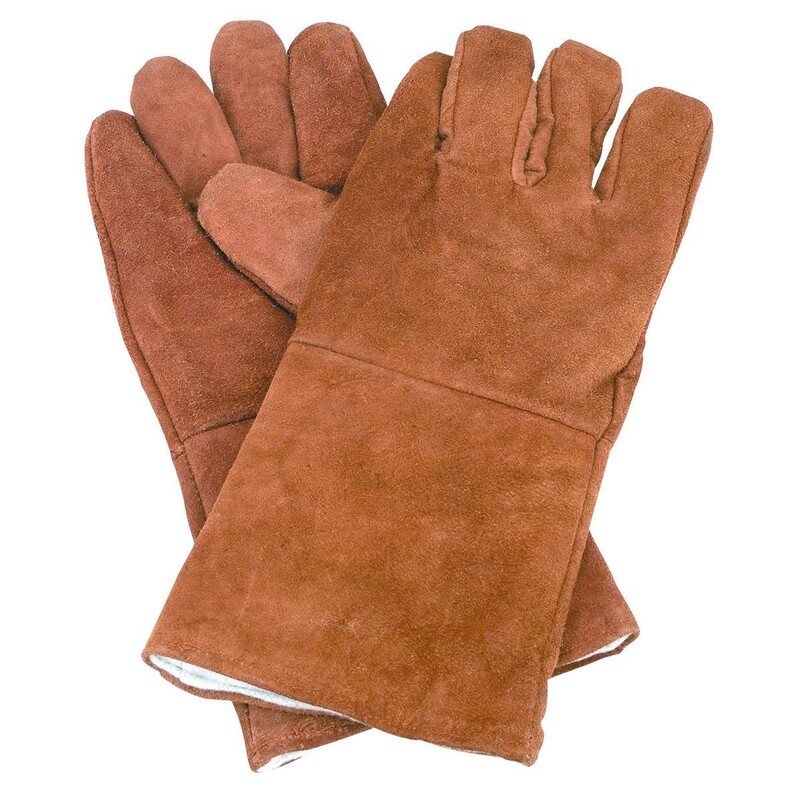 These leather welding gloves help protect your hands from punctures, and the long gaunts give your forearms a little extra measure of security against the barbed wire twisting or whiplashing & slashing you when unrolling it. One size only (tend to run large).